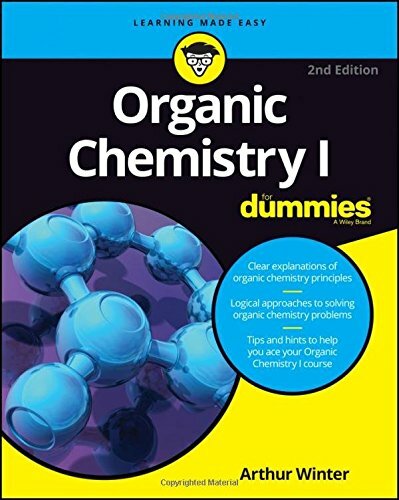 Organic Chemistry I For Dummies, 2nd Edition (9781119293378) was previously published as Organic Chemistry I For Dummies, 2nd Edition (9781118828076). While this version features a new Dummies cover and design, the content is the same as the prior release and should not be considered a new or updated product. Organic chemistry has a long-standing reputation as a difficult course. Organic Chemistry I For Dummies takes a simple approach to the topic, allowing you to grasp concepts at your own pace. This fun, easy-to-understand guide explains the basic principles of organic chemistry in simple terms, providing insight into the language of organic chemists, the major classes of compounds, and top trouble spots. You’ll also get the nuts and bolts of tackling organic chemistry problems, from knowing where to start to spotting sneaky tricks that professors like to incorporate. Baffled by benzines? Confused by carboxylic acids? Here’s the help you need—in plain English!